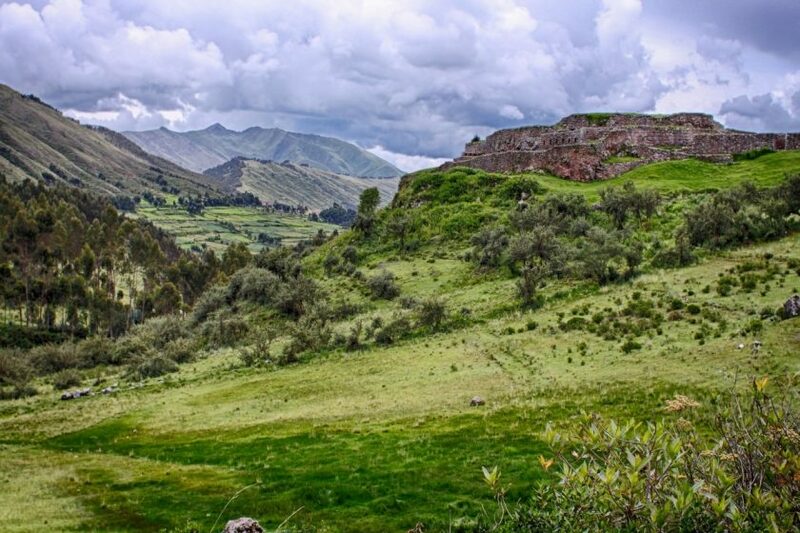 Venturing further from town, we find ourselves in Pisac. 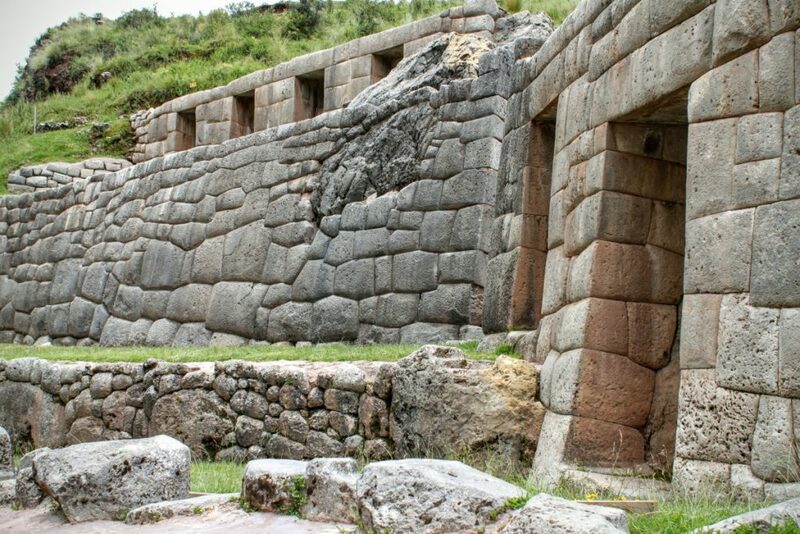 A lot of what we are going to see in and around Cusco is from the Boleto Turistico, a kind of package ticket. You get access to a bunch of ruins and museums and things like that. Tourists don’t really have a choice but buy it, since it’s the only way into some places. We asked the hotel man for advice on getting to Tambomachay, some Incan ruins a little further out of town. Luckily, we could catch a local bus at a market, just a ten minute walk from the hotel. So we set off, hopped on the bus, and a bit later found ourselves at Tambomachay. Not a lot is known about the purpose of Tambomachay. 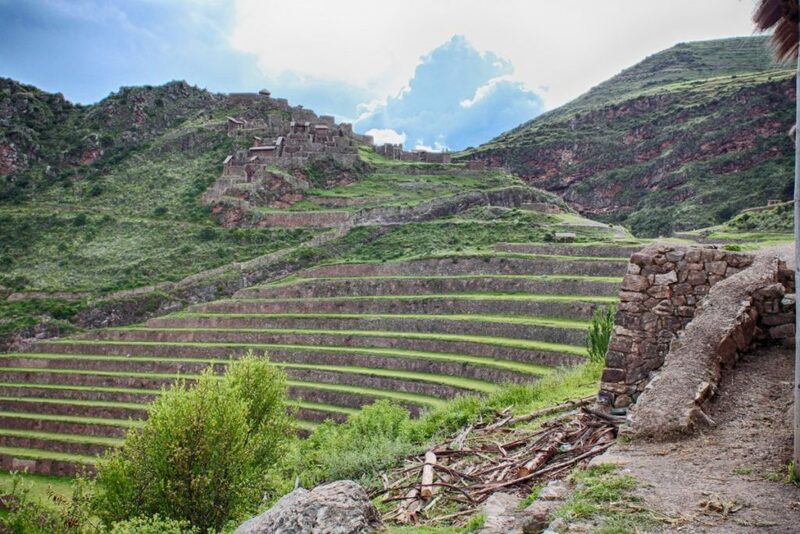 Set into the hillside, it is a great example of the hydro-engineering skill of the Inca. 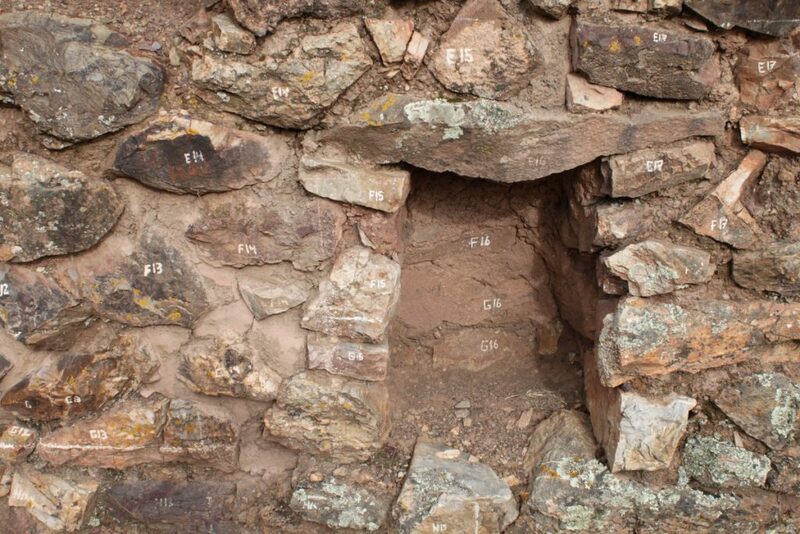 The site consists of baths and fountains, fed from the adjacent river, and still running today. It was still early in the day and we weren’t sure what to do next. The next stop on the Boleto Turistico was a site in Pisac, 30km out of town. Renée asked the security guard and luckily enough, a local bus could take us to Pisac from right where we were standing. If you can decipher them, the local buses are the best way of getting around. You have the freedom to explore how you want, without being stuck on a bus tour. Also, the 35km trip to Pisac cost s/4, way cheaper than a bus tour! So we arrived in Pisac ready for a late lunch. We found a nice restaurant and ordered. While obviously fresh and delicious, it took a while to arrive. It was almost 4pm before we finished eating. An observation: Pisac seems to be full of hippies and new age people, based on our limited exploration of the town. The ruins are about an hour walk uphill from town. The late, slow lunch meant they’d be closed by the time we got there. We were stuck, and the taxi drivers could smell weakness. We ended up paying s/40 to a very friendly driver, who took us up to the ruins, waited an hour in the car while we explored, then brought us back to town. 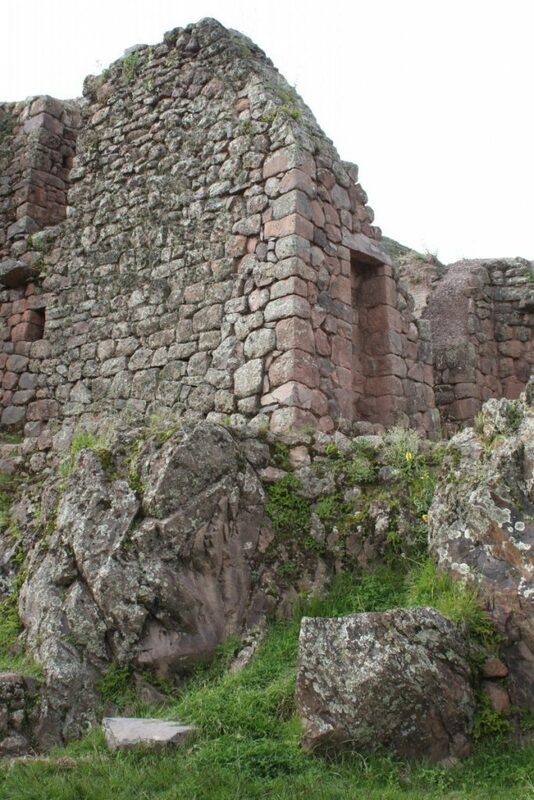 The ruins at Pisac are vast, and in much better condition than those closer to Cusco. 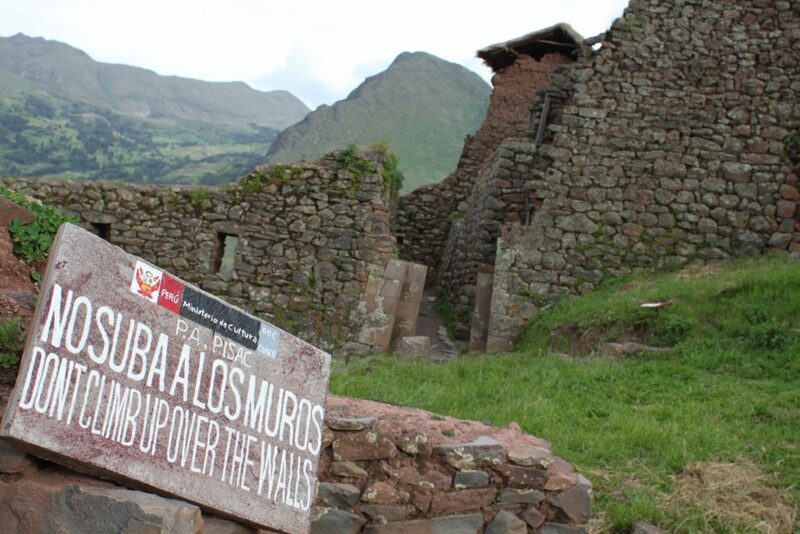 However, like most of the archeological sites in Peru, there has been some restoration. 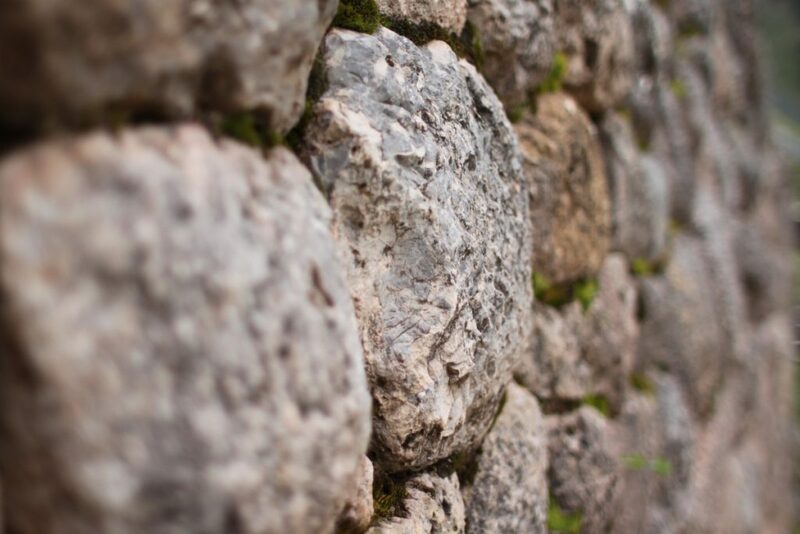 All the stones are indexed and catalogued, in case the sites are demaged in an earthquake or something. 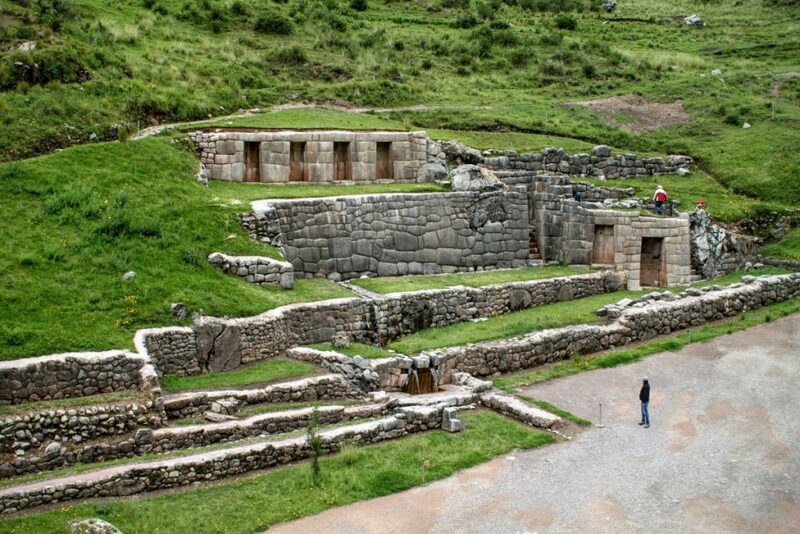 It’s divided into three sections, urban, where the people lived, religious, dedicated to the various gods worshipped by the Inca, and a military fortress. Exploring on the steep mountain is a lot of effort, but well worth it. We headed back to Cusco in a combi from Pisac. Combis are a common mode of transport. Essentially, a minivan parks in the main street, with the driver yelling the intended destination. The van fills up with punters, and then leaves. We were back in Cusco in time for dinner. Copyright © 2019 Umm... That way‽. All Rights Reserved.